Directed by Hou Hsiao-hsien. Taiwan | China | Hong Kong | France. 2015. 107 min. Mandarin with English subtitles. 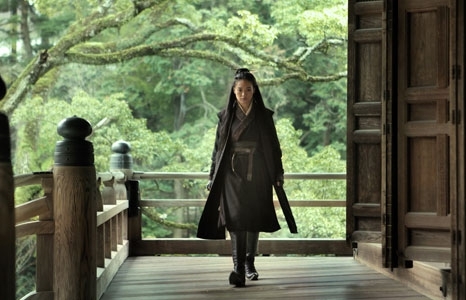 Back with his first film in eight years, legendary Taiwanese director Hou Hsiao-hsien wowed this year's Cannes Film Festival (where he won Best Director) with his awe-inspiring The Assassin—a wondrous take on the traditional wuxia film. The story is simple, if elusive—in 9th-century China, Nie Yinniang is a young woman who was abducted in childhood from a decorated general and raised by a nun who trained her in the martial arts. After 13 years of exile, she is returned to the land of her birth as an exceptional assassin, with orders to kill her betrothed husband-to-be. She must confront her parents, her memories, and her long-repressed feelings in a choice to sacrifice the man she loves or break forever with the sacred way of the righteous assassins. Rich with shimmering, breathing texture and punctuated by brief but unforgettable bursts of action, The Assassin is a martial arts film like none made before it. The Assassin is Taiwan’s Foreign Language Oscar® submission. Read the New York Times' Best Movies of 2015, which includes The Assassin. Read the A.V. Club review.